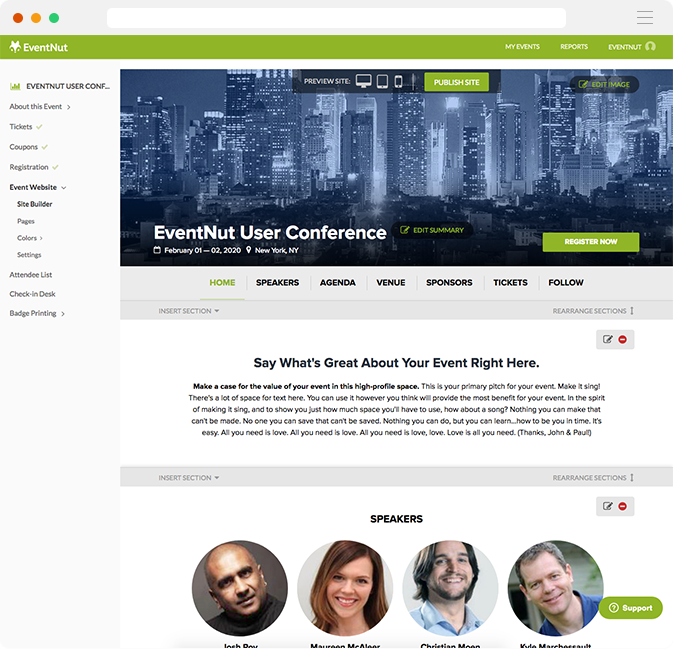 EventNut’s free website builder makes it easy to build an effective event website. 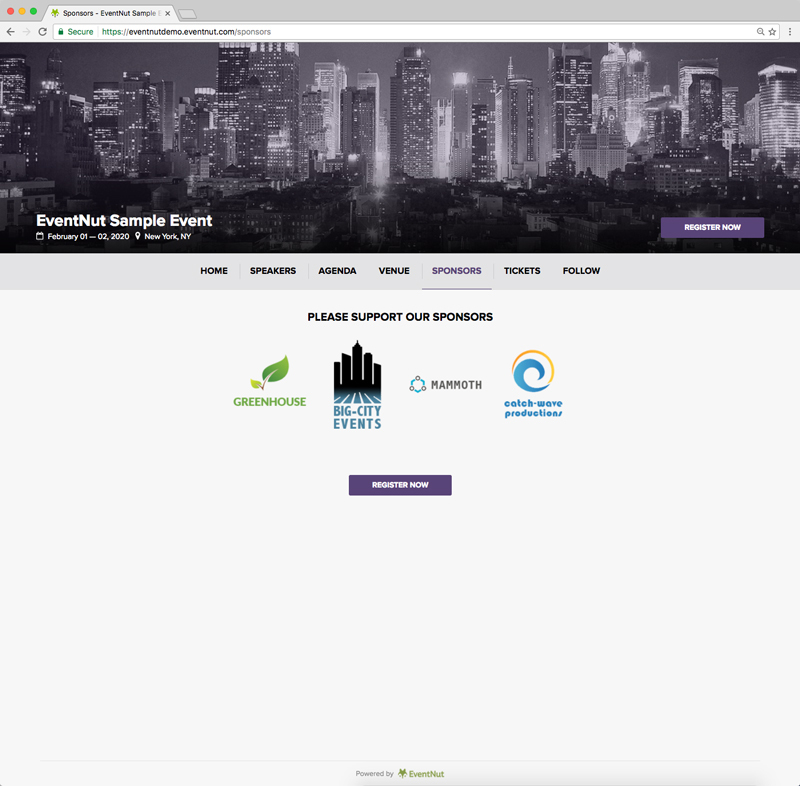 You don’t need technical or design skills to use our event website builder. 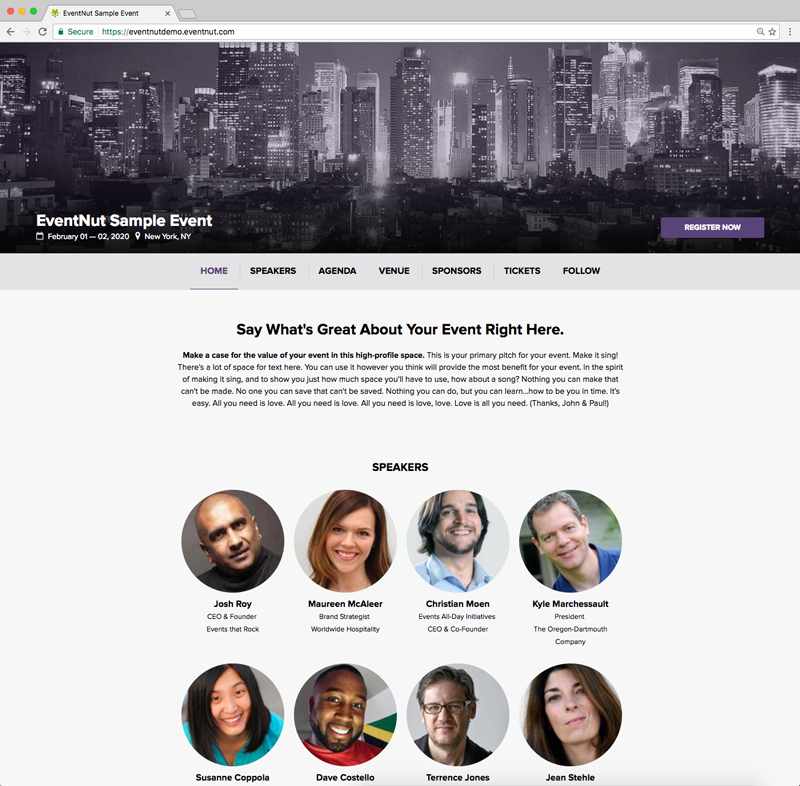 Build a modern, full-featured event website (or standalone registration page), and have it up online in under an hour. Once your event website is up, you’ll need monthly web hosting for it to stay online. Basic web hosting services usually cost about $15 a month. At EventNut, however, monthly web hosting is free, for as long as you want to keep your site or page online. There’s no catch. EventNut’s app makes it easy to collect the key information about your event, and to present it online in the most effective way possible. 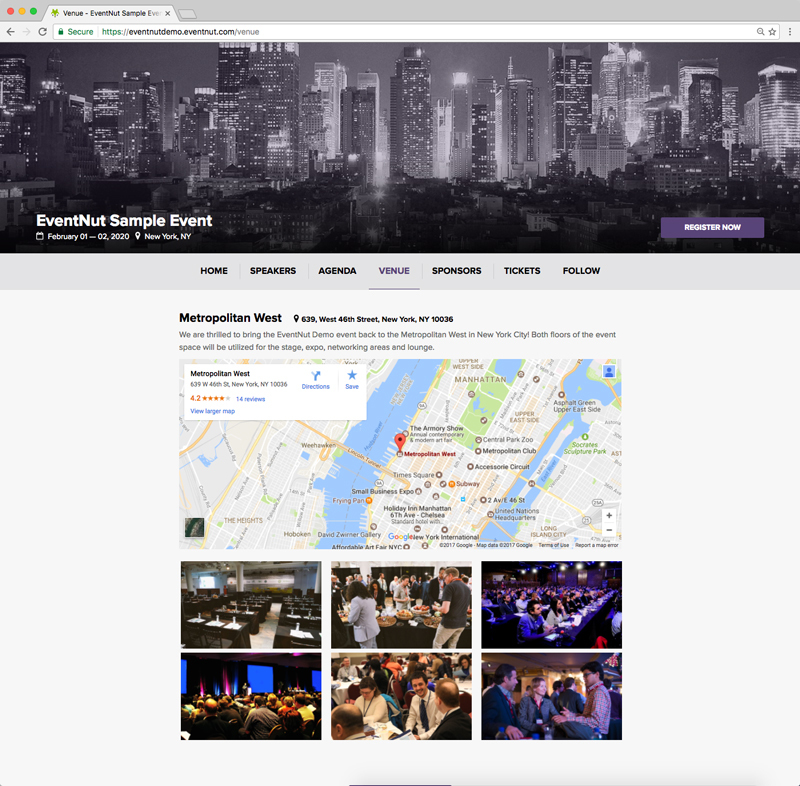 Specific page types are standard with an EventNut website, although you can also create custom pages to present other info that’s important for your event. Maybe you’re not quite sure what you’re aiming at with your new event website. We can help. All you have to do is get started. 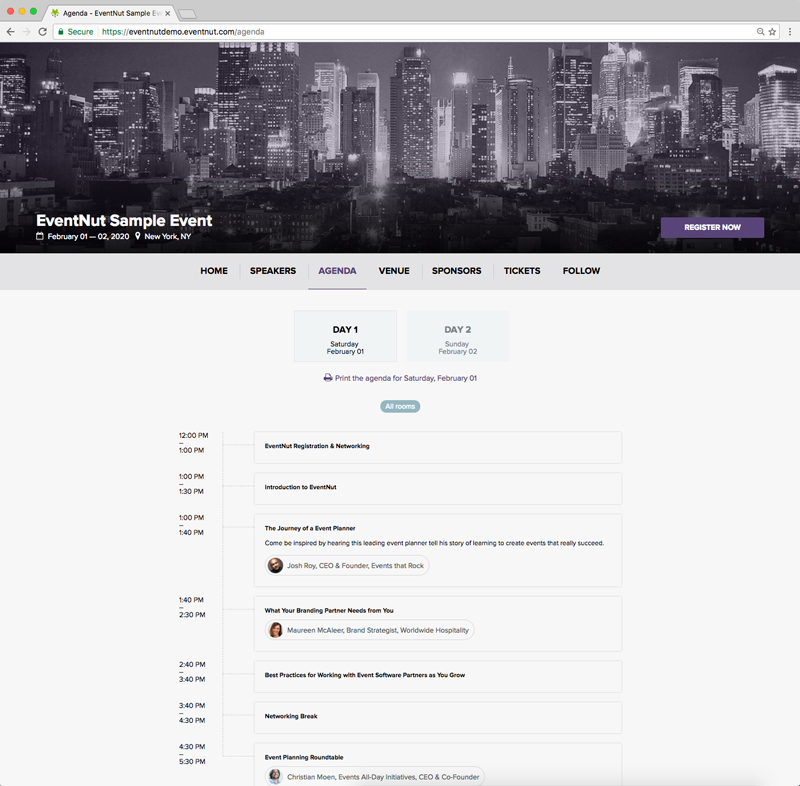 Every part of an EventNut-built website is customizable. Choose your own colors, fonts, and images. Add and subtract pages as you see fit. Anybody can do it. 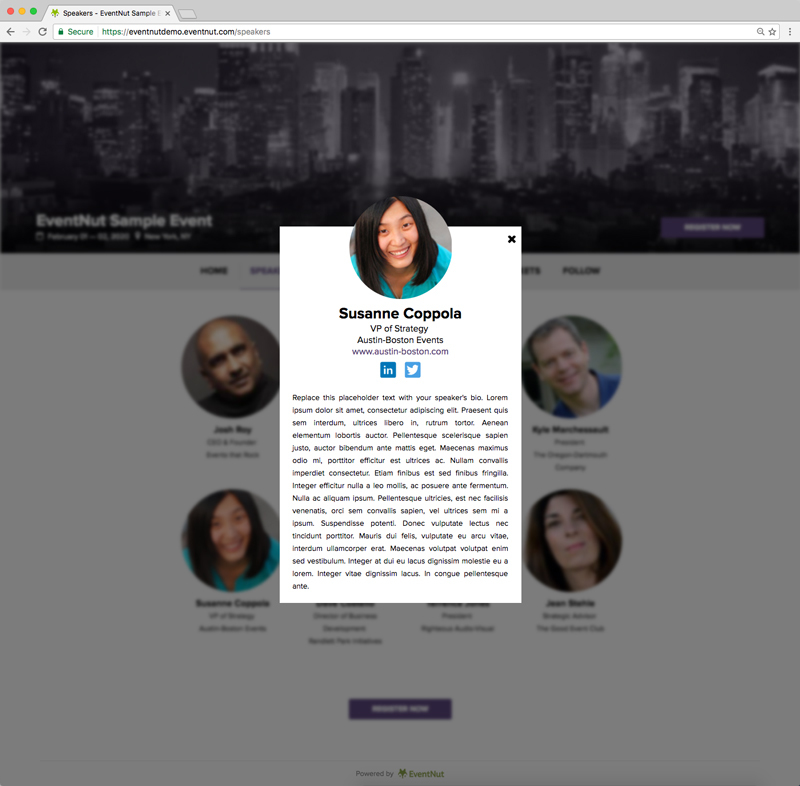 You don’t need technical or design skills to use our free website builder. You can have your event’s great new website (or standalone registration page) up online in under an hour. 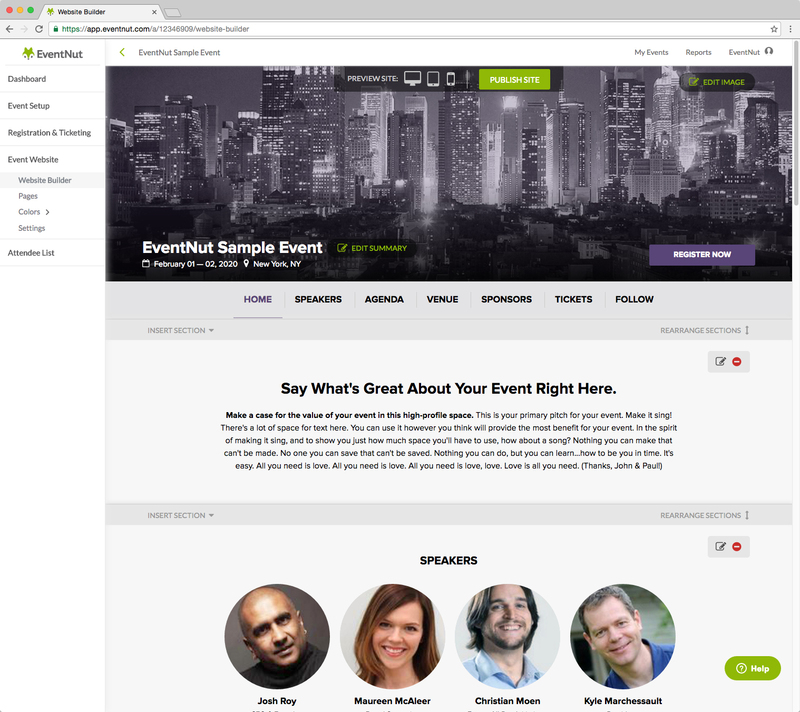 It’s 100% free to use our event website builder. Ongoing web hosting is free as well. 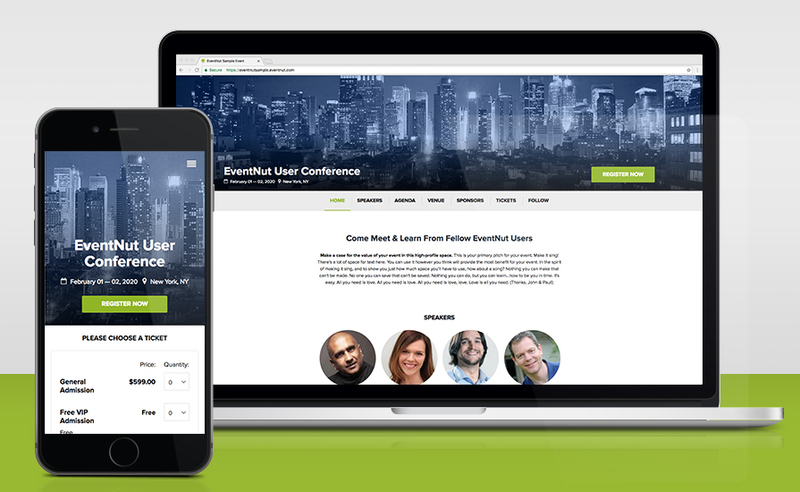 When you use EventNut to build and host your event website, it won’t cost you a penny. 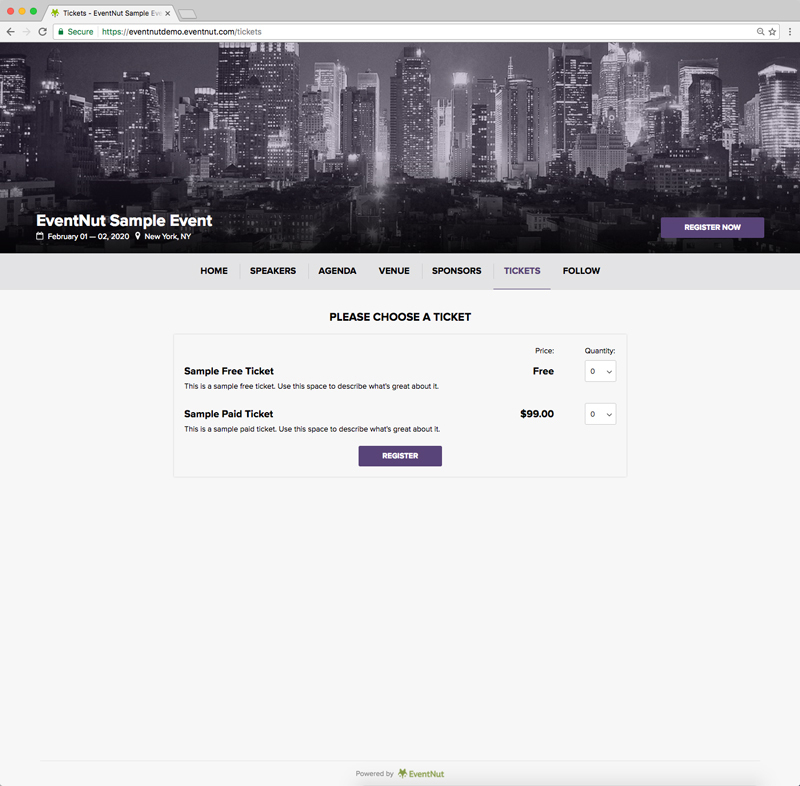 If you use your site to sell tickets, though, there is a small per-ticket fee for that. It’s the only fee we charge. Learn more about our ticketing fees.